Why do we have to pay a connection fee and minimum monthly bill? Wythe County depends upon Federal and State funding in the form of low interest loans and grants to fund water line extension projects. 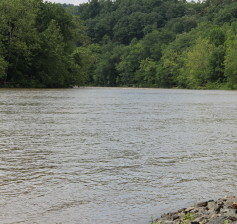 The Federal & State Agency’s require Wythe County to guarantee a high percentage of the people located the service areas of newly constructed water lines to connect to the systems and pay a connection fee and at least a minimum monthly water bill. The only way Wythe County can make such guarantee is to require a mandatory connection. 2. Will I be required to connect to the county water system? The Wythe County Department of Emergency Management was recognized Tuesday morning by the United States Department of Agriculture for offering “outstanding support” during the recent forest fire. 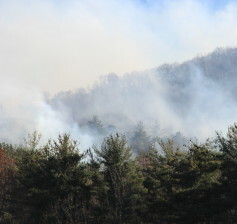 Telling the county’s Board of Supervisors that the recent fire at Mount Rogers National Recreation Area was a “fairly extraordinary event,” Ranger Beth Merz praised the county’s emergency management department for its cooperation with Forest Service officials. The Wythe County Engineering and Building Inspector’s Departments will be hosting an information workshop regarding new state mandated stormwater regulations. The educational workshop is scheduled to be held Thursday, December 5, 2013, at 6p.m., inside the Wythe County Board of Supervisors Board Room. The goal of the information meeting will be to pass along news to the public, regarding new state laws governing stormwater management. In addition to sharing information with the citizens, county stormwater management officials will also use this time to listen to the concerns of citizens. 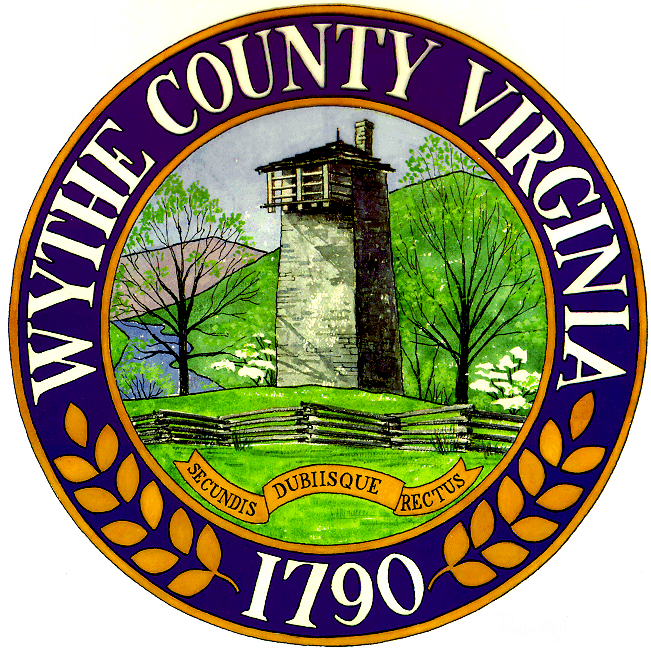 In compliance with Virginia law, the Wythe County Board of Supervisors will be establishing a stormwater ordinance in the coming year. Click LIKE to share this article with your friends on Facebook! 1. For calendar year 2013, the Board of Supervisors elected to keep motor vehicle decals in place. These decals will expire on December 31, 2013. This year’s county decals were sold at a reduced price, as they were set to expire at the end of the year. 2. In place of windshield decals, the county enacted a motor vehicle license fee. For calendar year 2014, the license fee will be assessed only upon all registered vehicles and will be shown on the personal property bill due by December 5, 2013. The National Weather Service issued a briefing Monday morning, warning Thanksgiving travelers to expect a wintery mix of sleet, snow and freezing rain. 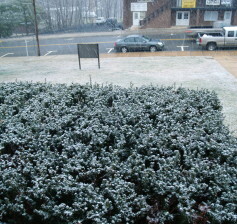 According to the weather service, the wintery mix will change to freezing rain early Monday night / Tuesday morning. • Heavy rain Tuesday, greater than 2” possible. • Snow developing Tuesday night/Wednesday, with moderate accumulations in the mountains. • Wind gusts 40-50 MPH Wednesday. • Impacts: Hazardous travel conditions for early Tuesday and Wednesday. Isolated power outages due to wind on Wednesday. Emergency officials are advising residents to take these facts into consideration when determining travel plans for the holiday. Saturday, November 30, 2013, at 4p.m. Saturday, December 7, 2013, at 1p.m. 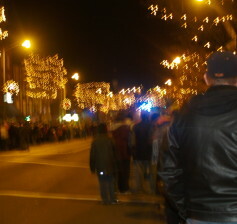 Saturday, December 7, 2013, at 6p.m. Sunday, December 8, 2013, at 2p.m. Click LIKE to share this schedule with your friends on Facebook! WYTHE COUNTY, Va. — The United States Forest Service hosted a town hall meeting Friday night in Speedwell, informing the public of the fire’s scope and their progress in battling the blaze. Click here to watch video of meeting. 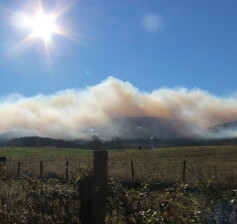 SPEEDWELL, Va. – The United States Forest Service will be hosting a public meeting to discuss the national forest fire in Wythe County’s section of the Mount Rogers National Recreation Area. The meeting will be held in the gymnasium of Speedwell Elementary School and is scheduled to begin at 6 p.m. tonight. 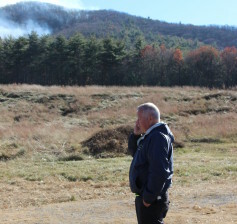 Officials from the U.S. Forest Service and Wythe County will present current information regarding the status of the national forest fire. All members of the public are invited to attend and a question-and-answer session will follow the presentation. As of Friday morning, U.S. Forest Service officials were stating that the 500 acre fire was approximately 15% contained.